Sometimes moms see the never-ending laundry, dirty diapers, and skinned knees as relatively insignificant when compared to activities and callings that seem more important and lasting. But there is eternal value in even the most mundane moments if the great commission informs how we're thinking about all of life, including what it means to be a mom. 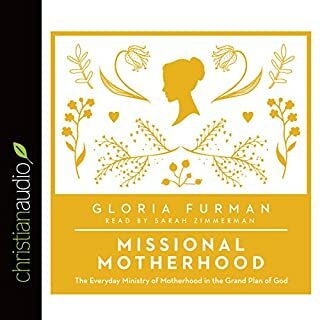 Tracing motherhood in the story of the Bible and drawing out key implications for moms today, Gloria Furman helps women live out God's story. I love that in this book Gloria Furman shows readers the relevancy of the Old Testament, which can sometimes feel less relatable than New Testament books. All of the Bible relates to Motherhood, as she demonstrates tm through giving a "big picture" perspective. Gloria speaks truth and reminds readers of God's design for motherhood while remaining relatable and understanding. 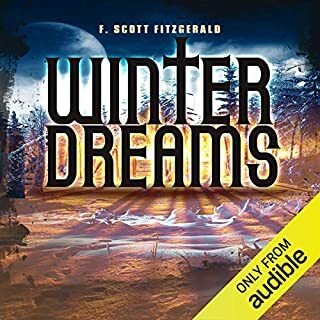 Winter Dreams is a story of friendship, love and betrayal by F. Scott Fitzgerald. Terrible voice reader! Impossible to listen to! Good book, interesting and short. The Narration took some getting used to. It sounded patched together at first, but as the story went on was easier to follow. This classic story of a New York lawyer and his oddly rebellious clerk is as relevant today as when it was first published in 1853. 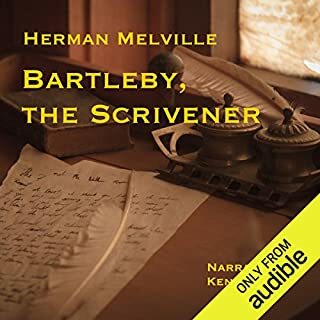 Herman Melville brings us into a small Wall Street law office and introduces us to the lawyer and his quirky staff, the quirkiest of whom is poor, quiet Bartleby, whose increasing refusals to participate in office procedures lead to increasingly bewildering and tragic consequences. If you get past the first few minutes, you'll find yourself oddly attached to the story, like the lawyer to Bartleby.